If you aren’t using Instagram to show off….WHY NOT??? Instagram is here to stay, and your clients are using it. And, when it comes to promoting your salon, you need to be where your clients are. On top of that, Instagram is the perfect platform for the salon professional, because it gives you the opportunity to SHOW your work. These days, there is so much information be transferred, people don’t read unless it is something they really care about. So, don’t give them something to read, give them something to see. 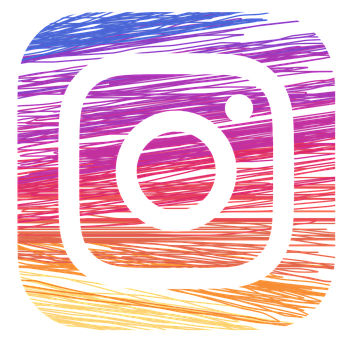 In this post, I am gong to SHOW YOU how to SHOW OFF on Instagram, and ultimately grow your clientele faster. Ok, I’m trying to be clever with words, but here’s what I mean. Become good at taking before and after shots of your clients….and let the prospective clients notice! When you post, and tag, and then share it to Facebook and Twitter directly from Instagram, the images will spread, and you will get new clients. Trust me…it just happens. Before and after pictures (or just after pictures) are a great way to show transformation. And people love transformation. They crave transformation. If you can prove that you provide transformation through before and after pictures, guess who they are calling? The key with salon promotion on Instagram (or any digital platform), is consistency. Hair stylists start with good intentions, and then months go by without any new posts. If you have a prospective client see one before and after picture, they may take notice, but they will forget about you. If they see great results over and over again in their feed, you will be impossible to ignore. You will get in their head, and then they will call you to work on their head! I recommend posting twice per week. This keeps you active, and allows you to show off your best work. If you cut off several inches, or do a completely different color, snap it, and post it. Anything that shows off transformation, post it. Simply tell the client, “Wow, this really came out nice. Would you mind if I took a picture and posted it on my Instagram?” Most of the time, people are happy to let you take a picture. Pick a spot in your salon, and make it the background in every before/after picture. Maybe the person seeing your posts isn’t paying attention to you at first. But if they see the same background and setting in every picture, they will eventually realize that all these new, amazing, transformational hair styles are coming from the same person. And they will look you up. Snap pictures of the hair from behind. You are not showing off the person, you are showing off the hair. Also, if you let the client know you won’t show their face, they may be more likely to let you take the picture. What Else Should I Shoot? This whole post has been about showing off your work, and I think that is the most important image to show. However, showing other aspects of your business is a good thing. Action shots: Have another stylist take pictures of you working on someone’s hair. Selfies: Why not? You are promoting your brand. Just don’t overdo it…and make sure the picture has purpose. Salon decor: Take wide angles of the salon, and close ups of cool decorations. Retail shelf: Show the products you carry. Also, take a picture of a retail promotion you are running. Seasonal shots: Is it Christmas time? Show a picture of the tree in your salon, and wish folks a Merry Christmas. Street view: A picture of the outside of your salon will help people connect with where you are in town. The team: Take pictures of you having fun with the other stylists in the salon. Showing teamwork and a good vibe in the salon is something people care about. Did you know you can take short videos on Instagram? Take a video of all the ideas I listed above. With video, you can really build trust because people can see (and hear) the bigger picture. Got something funny to say? Share it with a video? Did you have a wonderful experience with a client? Share it with a video…but don’t use the client’s name. I hope this post has given you some good ideas of how to promote your salon using Instagram. In the comments section below, let me know if and how your salon is using Instagram. This entry was posted in Salon Promotion Ideas and tagged instagram promotion, salon promotion. Bookmark the permalink.